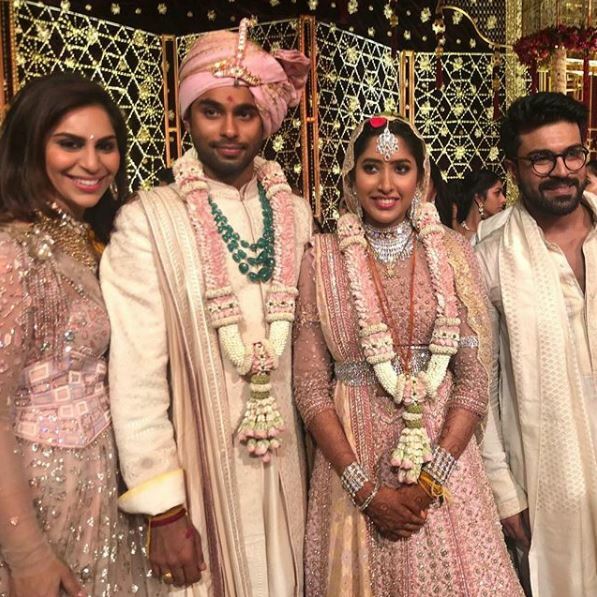 From megastar Chiranjeevi to many top politicians, Shriya-Anindith wedding was attended by many celebs and blessed the couple on their special day. Namrata Shirodkar looked stunning in a lehenga by Tarun Tahiliani as she attended the wedding. Namrata was styled by Shweta Malpani for Shriya-Anindith wedding. 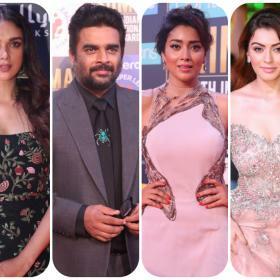 Shriya Bhupal is an ace designer India and owns a label Shriya Som which is preferred by many top actresses in South Indian and Bollywood films. Shriya was earlier engaged to Akhil Akkineni, younger son of Nagarjuna, but the couple parted way later for unknown reasons. Speaking to Pinkvilla South recently, Shriya Som had said that she has known Anindith since they were in 5th grade and its like she is marrying her best friend. “I’ve known Anindith all my life. We were in the same grade from the 5th till we went to college. So it’s literally like I’m marrying my best friend and deff no jitters,” Shriya told us in an interview. Isn’t this a Telugu wedding? Why is her head covered like a North Indian bride? Don’t brides wear a white cotton turmeric stained saree in Telugu wedding? All that money dont make any outfits stand out, just over the top!